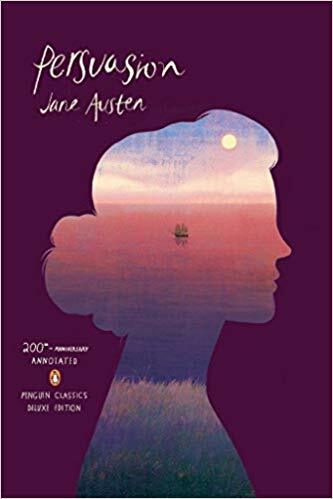 I'm hoping to start 2019 on a good note, so my first review choice of the year is the Penguin Classics Deluxe 200th anniversary edition of Jane Austen's Persuasion. Alas, it isn't quite the note-perfect edition of my dreams, but it is far and away the best option I've encountered to date. Of the three editions I've reviewed, this is by far the least irritating. (That might sound like I'm damning with faint praise, but trust me, I'm not.) Unlike this version, the editor didn't decide to literally alter the text, and unlike this version, the introductory essayist doesn't make it clear that she has only watched the movie versions of some of Austen's novels, rather than read the books. On the downside, this edition is very sparsely annotated. It is marketed as being for “ordinary readers”, but that seems to be a pleasant-sounding excuse for not containing much in-depth information. Still, this edition is really solid—the annotations, while sparse, are useful, the price is excellent, and I absolutely love the cover art.